MUMBAI: Ace tennis star Sania Mirza, who is enjoying her golden time these days as she is soon going to become a mother for the first time, recently celebrated her baby shower with hubby Shoaib Malik in Mumbai. She is quite evidently enjoying this period of nine months and her social media posts are a proof. 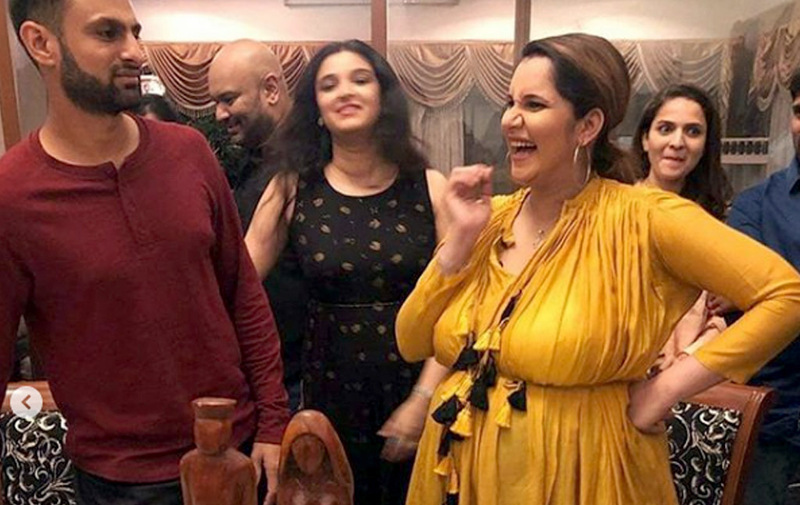 Pictures of her baby shower went viral on social media, in which Sania can be seen having some fun time with her family including Shoaib and sister Anam Malik.